A Japanese narcotics firm in wartime occupied China sold enough opium to nearly match the annual budget of Tokyo’s puppet government in Nanjing, according to an internal company document recently discovered by The Japan Times. 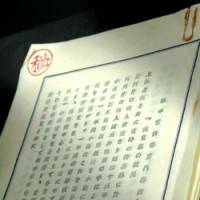 The 21-page document, found in an archive at the National Diet Library of Tokyo, showed opium dealer Hung Chi Shan Tang (or Hong Ji Shan Tang as it would now be spelled) sold as much as 300 million yuan worth of opium in 1941, when the annual budget of the Nanjing Government was 370 million yuan. Although not widely known at home, Japan’s opium trade in China was considered an essential financial resource for the Imperial Japanese Army and Japan’s puppet governments. An outline of the opium dealings first came to light in the mid-1980s, when historians uncovered several secret government documents. Many key details, however, have remained a mystery. The document, titled “Outline of Hung Chi Shan Tang,” reveals the history of the Shanghai-based company, headed by Hajime Satomi, that was believed to be the dominant opium trader in Japanese-controlled central China, including Shanghai, until early 1944. The document breaks down the company’s operating costs, details the wholesale price structure of opium, the firm’s assets and debts as well as how the rapid inflation of local currencies affected its narcotics trade. Hung Chi Shan Tang was technically a private company with an exclusive license issued by the Japanese puppet government established in Nanjing in 1938. “The discovery of this document is really significant. It has been known that Hajime Satomi headed Hung Chi Shan Tang and generated huge profits, but concrete details have been elusive,” said Masanao Kurahashi, a leading expert on Japan’s opium policy in China and a professor at Aichi Prefectural University. The document shows Hung Chi Shan Tang sold 6 million “liang,” or 222 tons, of opium in 1941 to local-level Chinese dealers. According to historians, profits from the opium trade bankrolled the Imperial army’s unofficial spying activities not covered by the official military budget. Later, revenue from the opium monopoly became a major financial source for the puppet governments of Inner Mongolia, Nanjing and Manchukuo, which was set up in 1932 in Manchuria. The Inner Mongolia puppet government, set up in 1937, systematically grew poppies to raise revenue, and its largest opium dealer was Hung Chi Shan Tang. In 1942, its opium revenues accounted for as much as 28 percent of its initial budget. “Since (opium) was the only product with which the Mongolian Government can earn foreign currency, we have made our best efforts to expand sales channels,” Satomi stated in the document. It was discovered among 545 archived documents once in the possession of former Finance Ministry official Hideoto Mori, a close friend of Satomi. 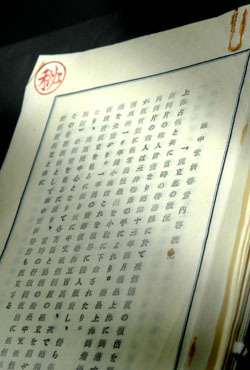 The opium document has been open to public viewing at the National Diet Library, but experts didn’t know it was there. In the typewritten document, Satomi also reported that in addition to Mongolian opium, his company imported the product from Iran as well as from Rehe, northeastern China, where the Manchukuo regime allowed farmers to grow poppies under the state opium monopoly. Of 6 million liang in opium that Hung Chi Shan Tang sold in 1941, Mongolian opium accounted for 4 million liang and Iranian opium for 1.6 million liang, according to the document. The dealer charged a commission of 8 percent in selling Mongolian opium to local dealers, in addition to transport fees, insurance fees, tax and other miscellaneous expenses, according to the cost breakdown detailed in the document. “(Opium) from Mongolia and Manchukuo are all transported by air, and transport payment to Chinese Aviation Airway reached ¥3 million in ‘gunpyo’ in the last fiscal year,” Satomi said. Gunpyo was the military scrip Japan issued in occupied China. To whom Satomi wrote the document has not been confirmed, but professor Junichi Chiba at Tokyo Metropolitan University, an expert on prewar corporate accounting rules who examined the financial data in the document, said it appears to be a report from Satomi to the China Affairs Board (Ko-a-in), Japan’s wartime ministry on China affairs. In fact, a memorandum dated April 10, 1941, and addressed to Genshichi Oikawa, the China Affairs Board chief, was attached to the document, and Satomi confirmed in the memorandum that his opium trader borrowed operating funds from Tokyo. The attached memo pins down the direct connection of the Imperial government in Tokyo and Satomi’s opium organization, said Motohiro Kobayashi, an associate professor at Niigata University of International and Information Studies and an expert on Japan’s opium trade in China. “Now it’s clear that Hung Chi Shan Tang was an organization that solely worked for the sake of the Japanese government in Tokyo,” Kobayashi said. Oikawa of the China Affairs Board, who was summoned to testify in the postwar International Military Tribunal for the Far East in Tokyo, denied any connection with Satomi’s opium business. “During my time in office, I had no association whatever with him,” Oikawa told the tribunal. But the memorandum shows Oikawa’s testimony was “a complete lie,” said writer Shinichi Sano, who in 2005 published the book “The Opium King,” which traces the life of Satomi, a former newspaper reporter whose Chinese alias was Li Ming. “The document is undeniable evidence (linking Satomi to Oikawa),” Sano said. The document also reveals another apparent lie in Satomi’s court testimony. 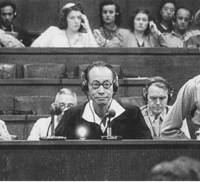 For the Tokyo war crimes court, Satomi was arrested as a Class-A war criminal suspect but, for unknown reasons, was not charged. He was later released and died in 1965 of cardiac failure at age 69. 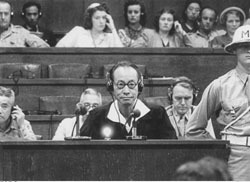 During the Tokyo tribunal, Satomi was summoned as a witness. He admitted having opium dealings but denied Hung Chi Shan Tang dealt with morphine or heroin, derivatives of opium that were widely traded by Japanese nationals in China. Morphine and heroin are far more toxic and addictive than opium. But the latest finding shows Hung Chi Shan Tang had 999 kg of morphine made in Manchukuo, in addition to 277 kg of cocaine processed by the Japanese colonial government in Taiwan as of June 1, 1942. The narcotics were originally prepared for the Southeast Asian market, but Hung Chin Shan Tang held onto the stocks after the Pearl Harbor attack in December 1941, Satomi reported in the 1942 paper. Japanese historical documents have shown Tokyo at that time considered expanding its opium business from China to Southeast Asia, where Chinese residents consumed a considerable amount of narcotics. The document for the first time reveals Hung Chin Shan Tang’s drug stocks prepared for the market outside China. Satomi also reported that his company could immediately sell off the morphine and cocaine on the Chinese market at street prices, which were twice the book value. “It is enough to guarantee that Hung Chi Shan Tang’s financial footing is extremely stable,” Satomi wrote.